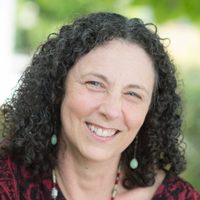 Stephanie Hochman, LCSW, has over 30 years of experience in supporting individuals and groups improve their lives and affect change in their communities. Stephanie’s skillful government and non-profit facilitation is enhanced by her extensive experience in social service program design and management, community organizing, training, education, and direct practice. In addition to her facilitation consultancy, Stephanie is the regional director of a youth and family serving non-profit in the San Francisco Bay Area leading many innovative and long-standing programs in schools and communities in Alameda and Contra Costa Counties. Creatively design and facilitate large and small group meetings, retreats, strategic planning, team-building and conflict resolution for individual and team challenges. Organizational thinking and strategy development, annual and multi-year organizational and program planning. Highly effective coach for staff and volunteers, which includes support, training and reflective supervision. Trainer of Technology of Participation (ToP) Facilitation Methods, Strategic Planning, Accelerated Action Planning and Facilitation for Innovation courses. Train facilitators in all aspects of meeting facilitation.